Digital FilmMaker is a new magazine aimed at movie lovers who aspire to make films but want to do it independently and without the huge costs normally associated with producing professional films. Thanks to the revolution in digital technology, it’s now possible for anyone to make a quality movie, be it a cutting-edge short film or full-length epic. With over 100 pages of editorial each issue, Digital FilmMaker features everything you need to know about making movies on various cameras. If you’re keen to get into filmmaking then this is the way to do it. 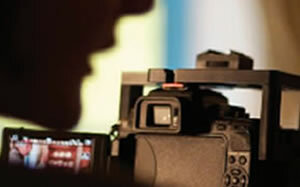 We cover everything from basic techniques through to advanced movie making challenges that will give you all the skills you need to become a professional. 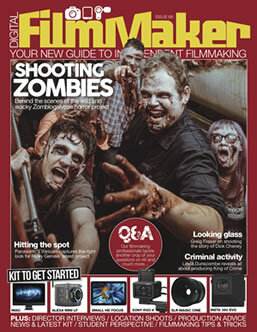 Each issue features a wide range of tutorials, features and interviews with industry experts, all of which will give you an invaluable insight into how to make movies with your chosen format. If you aspire to produce motion pictures, then there has never been a better time to start and Digital FilmMaker magazine is the missing link that you’ve been looking for.